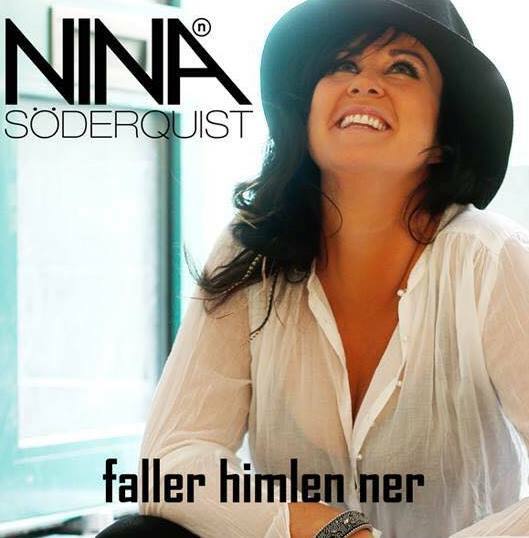 A few things immediately become apparent about Nina Söderquist, one she is an immensely talented singer, who can belt out a tune like she did with her 2009 performance of the song “Tick Tock,” at Sweden’s Melodifestivalen or you hear her soulful Rock vocals when she sang Marc Cohn’s “Walking In Memphis,” on the television show Så Ska Det Låta (English translation: That’s’ The Spirit) or you watch and listen to her perform a scintillating duet, “Straight Back To You,” (written by Tamara Champlin, Bill Champlin, Björn Skifs, Douglas Carr) in December of 2013 on Swedish television with Björn Skifs. Nina Söderquist’s vocal talents were also on display during the fall of 2008 and early 2009 on the televised music competition West End Star, broadcast on Swedish television with the winner, in this case Söderquist being cast as “Lady Of The Lake,” at the Palace Theatre’s production of Spamalot in London’s West End. The second thing that immediately becomes apparent about Nina Söderquist is she lives her life with a perfect blend of gratitude and the belief that she can accomplish anything she sets her mind to doing. She is grateful for her partner and for her four year old daughter. She is grateful for being able to just live life, because several years ago she was diagnosed with cancer and told she did not have long to live and yet the cancer disappeared. When she talks about her career Nina Söderquist never comes across as someone who feels entitled to the success that comes her way, but instead she is grateful for the opportunities and recognizes that her own competiveness and hard work have contributed to that success. While Sweden does have a reputation for producing some excellent singers, songwriters and musicians (ABBA, Roxette, songwriter Max Martin, Lill Babs), especially for a country of of 9.5 million people, not all of them grew up taking music lessons. Söderquist reflects on her childhood, “I liked music (growing up). I had my microphone and I stood in my room singing in front of the mirror and stuff, but I was more of a sports girl and I was really good at sports, especially handball. It was taking up all of my time from the time I was seven years old until I was sixteen. I was really good and I had an offer when I was sixteen from a handball club, with a contract (to compete professionally). I came to a crossroad there and I thought should I do this? When I was sixteen, music was my world, so I decided not to do the handball pro thing and I just did music. When I was much younger, I sang a little bit in the school choir and stuff, but not really that much. My uncle was a guitar player, so I followed him on a few gigs and I think I was ten or something when I first started to think that music was a cool thing. After making the choice to pursue music rather than a professional career in handball, Söderquist says, “I started to tour when I was sixteen, so I have always done this. It has been natural for me and a lot of people and friends said what do you want to do after this? For me there has never been anything after this, this is what I am going to do until I die. There is no other thing, music is my life. I was touring with a band. In Sweden we had a thing called Dansband and it (the type of music) was a band that played at places and people danced. It was a really big thing, like your Country music I think. I learned by going about it the hard way I guess. I was touring up in the north of Sweden, in Finland and in Norway. You get all the gear setup and then put some makeup on in five minutes and then I would sing for four hours. Then all the gear would go down into the tour bus, and we would jump into the cold bus and move on. It was learning the hard way, but I am so grateful for that today, because I know to appreciate what I have now. I know how it can be. (In response to our saying it is not always as glamorous as people think, Nina then says) It still isn’t (and she giggles). Nina Söderquist then returned home, started her own company and started producing shows and touring for a few years. She also performed at a lot of major events in Sweden. Even though Nina has performed several different styles of music Rock has always been her passion. “I always loved Rock ‘n’ Roll. There were bands that I sometimes played with which, played Rock, but the main thing was shows, everything from Frank Sinatra Jazz to Pop to Michael Jackson and also Rock like AC / DC. We did shows with great big choreography. They were big productions. I listened to Rock, but I didn’t do Rock at that time. My voice was Rock though and I always heard that. There weren’t any gigs with the Rock thing. Everyone wanted everything else, so I did it. For me the roots of Rock are in Soul. It is the groovy stuff with the heart and the soul in it, but maybe with a little bit of edge,” she says. 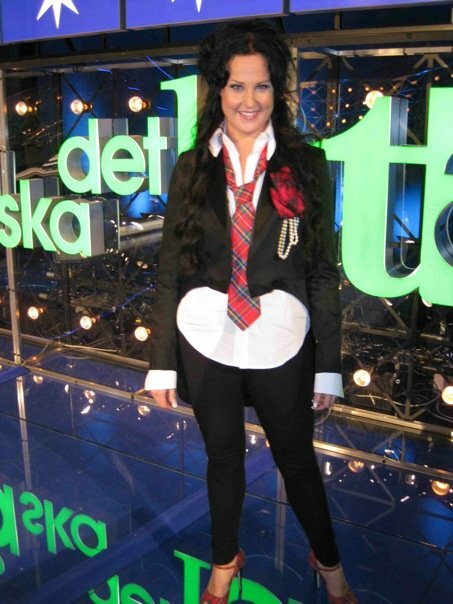 Söderquist then decided, on a dare from a friend to enter a televised competition called West End Star, broadcast on Swedish television. The winner would become the female lead in the London West End production of Spamalot. She says, “Before the West End Star I had been working as a singer for a lot of years and touring. I thought I knew what I was doing and that I knew my music and by this time I think I had done everything except musicals. It was something that I didn’t know and that was not my thing. It was not my voice and I had no education (in music), no training. No teachers taught me how to do it. I thought, (musicals) that’s not for me, that’s too hard. I can’t do that, but a producer that I had worked with in a lot of shows rang me and she said, I’ve been to London and I saw this fantastic show called Spamalot. It is Monty Python, it is really hilarious, and my God the leading lady should be you. I was like, okay (she says it in a tone of, yes and tell me another fairytale). That’s nice, but move on. That was that and then a few weeks later she rang me up again and she said, my God they are doing a show on Swedish television and the winner is going to get the part. I was like, ya’ that’s nice. She said, you should do it and I said you’re crazy, my gosh. Then she dared me and she said, you are afraid. That was a trigger for me and I said (she starts to laugh) I’m not afraid. I thought I will enter this competition and maybe I will get a few hours on the television and that could be good for me. I was unknown and I was in a place in my life where I needed to take a step forward to let everyone know who Nina is or maybe I couldn’t do this for much longer. I thought maybe I will do this and I entered the competition. Every week it was good and they didn’t vote me out. I don’t know the word for that. Every week I was what, they are going to keep me. Gosh okay. We kept on and the weeks were hard, because we went down to London on Sundays and we were in London from Sunday until Thursday. It was a long filming, because I think the competition went on for half of a year. We were there just filming and doing bits for the TV show, seeing the theater, meeting the people who worked in the theater and then on Thursdays we went home. On Fridays we had the rehearsals and Saturdays we had the show. It was live on television and then if you got through that you went down to London again on Sundays and blah blah blah. Every Saturday I thought they are going to kick me out now, but they didn’t. It was on TV 3 (in Sweden). It was amazing and I didn’t think that I could win, because I didn’t have the technique and all of the other girls had been working with musicals for years. They had this big training with their voices. When they talked about the technique I didn’t know what they were talking about. It was Greek to me. Every week we got new songs that we were going to do and I didn’t know them, so I had to practice, practice, but the others were, oh, I know this one, I’ve done this. I was a step behind all of the time. I had to work hard and I learned so much. That was the greatest thing with the competition that I learned so much. I thought that I knew it all, but I didn’t. It was this big adventure that kept going on and on. There was a final and it was the first time that I thought, my gosh I can win this. I can do this. I had been struggling with my self esteem all of the time. I was a strong girl, but it was a tough time with my self esteem knowing that I had not done that before. With the final I thought, I can win this, I can really win this and then I just closed my eyes and jumped into it. This can go any way, but I am going to do my best and I did (win the competition). About three and one-half months after her daughter was born, Nina Soderquist reprised her role and she appeared in the Swedish production of Spamalot in Sweden’s largest city Stockholm. “Then I did a lot of big tours like Rhapsody In Rock, with a famous Swedish pianist called Robert Wells. It was a great tour and I had the opportunity to work with John Lord from Deep Purple and Glenn Hughes (also of Deep Purple). We also recorded a TV show. I did a lot of productions at the time with my friend Peter Johansson and we did this Queen (tribute) concert tour, which I am also going to do next year (2015) in February and March. It was really good and it was with Neil Murray the bass player from Whitesnake. I got to meet my Rock idols,” she says. Now a veteran of live theater with more than 500 performances of Spamalot to her credit, Nina Soderquist returned to the stage in 2013, this time in a dramatic role, as Cecilia in the Swedish production of Light and Darkness. “Oh, that was something else. She was the dark. There was so much evil in that character. There was no good at all in her. It was a big challenge to do that. It was going into the dark and it was amazing. She was so evil. She is so different from me. I think my strength is and I thought the same with Spamalot, is I don’t need to prepare myself when I am going on stage and I don’t need to have an hour before going hmmm and getting into character. I can stand talking to you like this blah, blah blah and then I go and do it. I think that was a good thing, because she (Cecilia) was so evil. I couldn’t really get into the part with my heart and soul, because then it was like I would jump from a bridge or something (she says, using hyperbole). I noticed when I played Cecilia I was more straight ahead and maybe not so polite sometimes (in her personal life). When I noticed that I was like oh my gosh, she is…(coming into my life). It was great fun (to play her). It is more fun to play an evil character than a nice character, because you have so many different things to work with when she is evil. When you are happy, you are just happy, but when you are evil, you can do it in so many ways. That was quite interesting. It was about the light and the dark and it was a mishmash from the (time) when they burned witches and (today) when you can write something on Facebook that is really mean and you don’t have to take responsibility for it, because you are just writing it and you are not saying it to someone’s face. It is about the good and the bad. It was quite a big and heavy thing. I think it is good that they do (shows) like that, because it wasn’t really that nice. People went from the show crying sometimes. It was horrible. It was about death and about when people are bad to you and they call you (bad things),” says Söderquist. 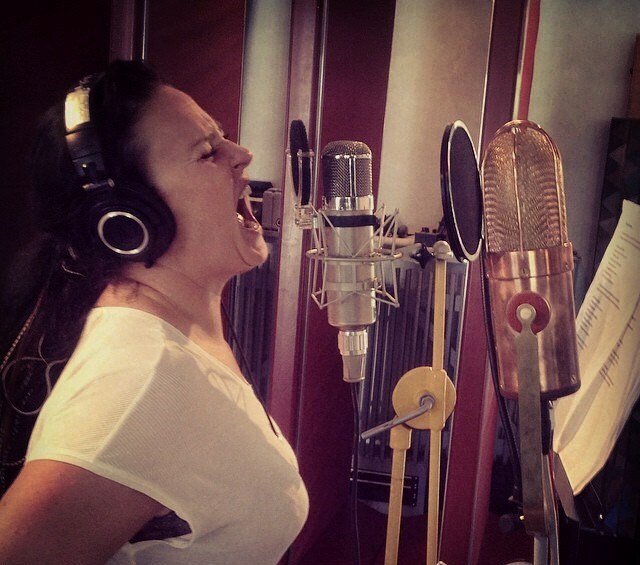 In the fall of 2014 Nina Soderquist has been in the studio in Stockholm recording a new, yet to be named Rock album. She talks enthusiastically about her new project. “We were recording it in English and then my manager said to me I think we should do this in Swedish and I was like, yes we should. We recorded it in Swedish and in English. We have an English version if we are going to sell it abroad, but my first single, if I translate it from Swedish it is called “Sky Fall Down.” That is one of the few songs that I haven’t written. The first time I heard it I really liked it, because the lyrics are a little bit crazy. I am not really fond of the cute, I love you. You are like my sugarpie and the moon and the sunset. I am not really fond of that type of lyrics (she laughs). This song is about, the sky falls down and a plane crashes in my living room. There is crazy stuff in it. I thought, oh that is really interesting. It has a great melody and we worked out a good Swedish translation of it. I really love the song. It has a mid-tempo kind of deep lyric as well. It is about life and love, but I don’t want to do things easy. One of the songs (that I wrote) is “Goodbye,” and it is about a breakup. I have discovered that I really like to sing the sad songs. I have no idea (why that is). My friends ask me, are you sad Nina and I go no, I am happy. They ask, why do you sing such sad lyrics? I say, I have no idea, but I think my voice sounds better when I sing in this way. Also, as with Cecilia, there are so many colors that you can work with when you are working with a sad or an angry feeling. When you have a happy feeling it is just that. “Sky Fall Down,” will be the first single released,” she says. The album was recorded at Riksmixningsverket Studio located in Stockholm and owned by Benny Andersson formerly of ABBA. A few years ago, Expressen, one of Sweden’s largest newspapers referred to Nina Soderquist, as Sweden’s biggest musical export since ABBA and Roxette. We do not claim to be experts on the Swedish music scene, but we are certainly plugged in well and Riveting Riffs Magazine would say that Nina Söderquist is one of the most passionate and dynamic singers on the music scene today, regardless of her country of origin. On the day that we published this interview, Nina Söderquist landed in Miami, Florida, in America to begin collaborating with Heavy Metal Hair band, Motörhead.